Chances for Nature uses modern media and innovative technology to improve natural resource use in rural communities. 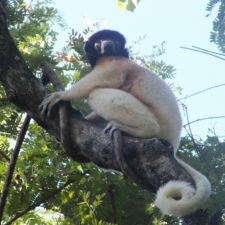 Chances for Nature aims to spread, communicate, and promote sustainable natural resource use techniques as well as raise awareness for Madagascar’s extraordinary biodiversity. Chances for Nature achieves these goals through outreach, education and capacity building in small villages in rural Madagascar. 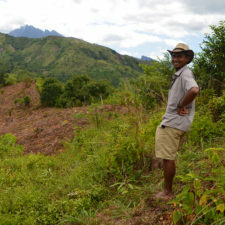 Chances for Nature currently focuses many of its efforts in Central Menabe (west Madagascar), but does not limit its education initiatives to just this region. 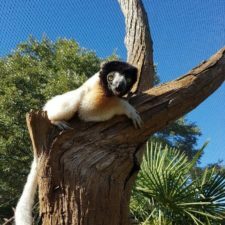 What lemur species does Chances for Nature protect? This area where Chances for Nature has focused many of its efforts – in west Madagascar – is home to the largest remaining dry deciduous forest of Western Madagascar. This unique ecosystem is home to high floral and faunal diversity, including the world’s smallest primate: Microcebus berthae. 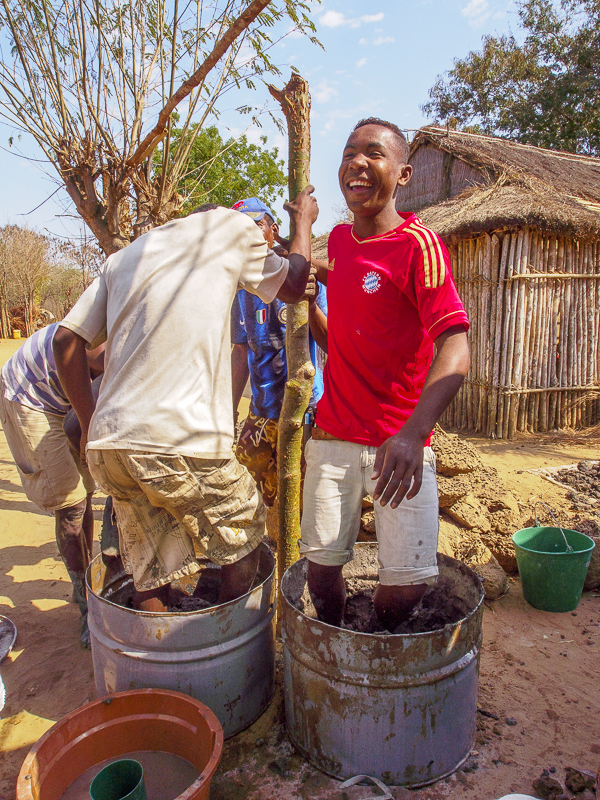 Chances for Nature works closely with local communities in order to establish new programs that help spread information about how natural resources can be used sustainably in remote and resource-poor communities. The work is done in close collaboration with local communities and necessarily involves a partnership with people and elected officials in the areas where Chances for Nature works. In order spread information about the need to use natural resources in a sustainable manner, Chances for Nature uses Malagasy-language multimedia presentations and films to promote sustainable use techniques and practices. 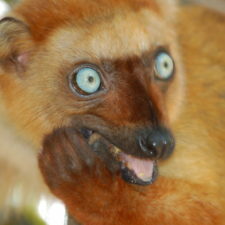 In 2013, they produced a film designed to illustrate the uniqueness of Madagascar’s biodiversity; the film also explained the consequences of unsustainable use of natural resources and presented three alternative sustainable techniques and behaviors that could be used to improve the lives of local people while reducing natural resource depletion. This film – as well as other multimedia presentations – reached Malagasy communities in 2013 and 2014 through the help of a mobile cinema. This mobile cinema works exclusively through pedal (bicycle) power and thus reaches a large amount of people – even in remote areas without electricity. 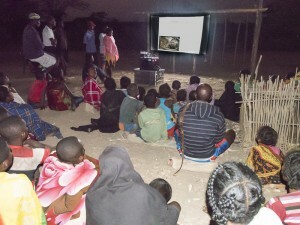 The cinema was even used to raise awareness and supplement environmental education in several Malagasy schools. 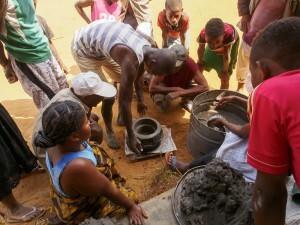 The first campaign designed to actually implement behavior changes in local communities, supplemented the media-based education program with workshops designed to teach the construction of ecologically friendly stoves built using locally available materials. As 80% of the energy consumption in Madagascar is used for cooking, the use of environmentally-friendly stoves can have a positive impact on habitat protection. 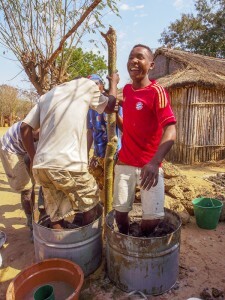 Chances for Nature’s approach of combining environmental education, the promotion of sustainable techniques and behaviors, and modern media turned out to be very successful and motivated two communities to built and use the stoves. Additional workshops and programs will be incorporated into future outreach efforts. Possible topics are numerous, and could include: bee keeping, silk production, chicken breeding, and the cultivation of yams. 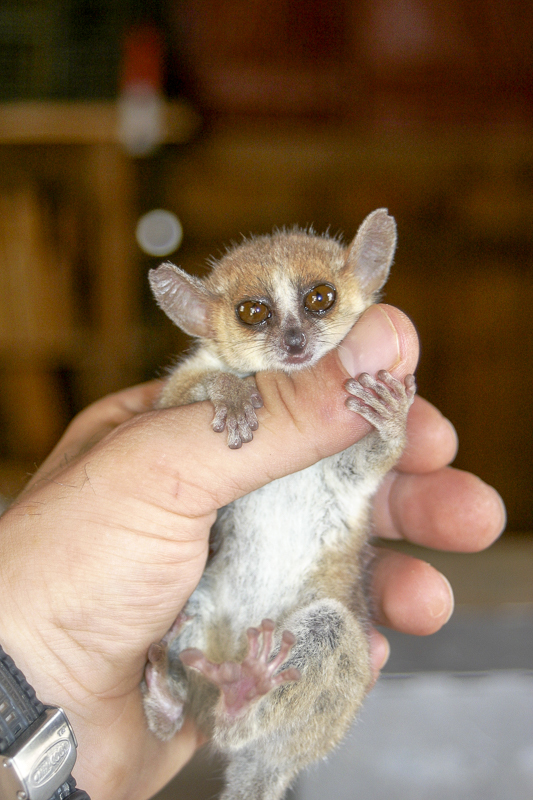 These workshops will contribute to the food and economic security of Malagasy communities, increase the sustainability of natural resource use, and function to protect the last remaining habitats of lemurs.